Keogh: “There is much work to be done in a highly competitive segment of the auto business." 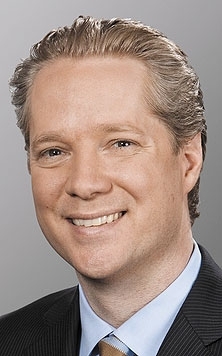 WASHINGTON -- Audi of America named chief marketing officer Scott Keogh its new president, replacing Johan de Nysschen who left earlier this month for Japanese luxury brand Infiniti. Keogh has spent the last six years as CMO, a period of record sales growth and product expansion for Audi. A champion of performance and engineering as a brand-building tool, he helped oversee the launch of Audi's TDI technology in the United States and the re-introduction of high-performance RS models. He also helped increase Audi's brand awareness with Super Bowl advertising, a push into social media and product placement in Hollywood productions. In all, Audi has launched 14 new models since 2006, the year Keogh took over as CMO. Keogh, 43, steps into this new role at a pivotal time for the premium brand. Over the last two years, Audi has undergone unprecedented growth. He will be charged with continuing to further expand the brand, as well as elevate its reputation with U.S. consumers as Audi challenges rivals BMW and Mercedes-Benz. "We see exceptional growth opportunity in the U.S. market as we continue moving toward our goal of positioning Audi as the leading luxury automotive brand in the world by 2020," Audi CEO Rupert Stadler said in a statement. "Gains in the U.S. are truly a strategic pillar for the brand and we are confident that the leadership provided by Scott Keogh will continue the momentum at Audi of America." Audi is targeting 200,000 in U.S. sales annually by 2018. Last year, it reported record sales of 117,561 vehicles, up 16 percent over 2010. U.S. sales so far in 2012 have climbed 15 percent to 52,494 through May. In a study released Wednesday by J.D. Power and Associates ranking new-vehicle quality, Audi rose two spots to No. 16 but placed below the industry average and the lowest of any import luxury brand. "There is much work to be done in a highly competitive segment of the auto business," Keogh said in a statement. "But the sights are set and the team is in place to meet our goals." De Nysschen, 52, had led Audi's U.S. division for the last seven and half years. His departure earlier this month was a surprise after nearly 20 years with the company. He left to become a senior vice president at Nissan Motor Co. with global responsibility for the upscale Infiniti brand. The move takes effect July 1 and de Nysschen will be based at Infiniti's new global headquarters in Hong Kong. Nissan, too, has set ambitious global sales goals, including targeting Audi as one of the upscale brands to beat. Keogh's appointment also comes amid other moves at the senior-management level at Audi in Germany. Also this month, parent Volkswagen replaced Audi's sales and marketing boss, head of technical development and head of purchasing with new executives.